E-learning methodologies help organizations ensure that their staff possesses the adequate amount of skills for a specific responsibility while being acutely aware of the global developments and market trends regarding the same in a cost and time effective manner. Employee-training is undoubtedly an area of concern for every CXO Executive, especially in times of rampant outsourcing where there is little to no initial estimation of the employee’s skill set. Fundamentally, it also becomes difficult to maintain the thirst for knowledge and inquisitiveness as most of us tend to become complacent after acquiring a job. No wonder then that corporate powerhouses such as Amazon and SAS have exemplary training programs and activities for their employees that provide a great impetus to enhancing job-related skills and continuously update their knowledge base. According to a recent report by Training Magazine, companies in the US spend $4.5 billion on an average on training and development programs for its employees. Massive expenditure is incurred by successful corporate houses to constantly assist and motivate their staff in keeping abreast with the latest developments in their particular domain of work, most significantly due to the non-efficient nature of conventional training methods. This is where comprehensive e-learning methodologies come in. They help organizations ensure that their staff possesses the adequate amount of skills for a specific responsibility while being acutely aware of the global developments and market trends regarding the same in a cost and time effective manner. In fact, so rapid has been the evolution of e-learning that corporates are quickly adopting technical and custom made e-learning facilities that allow for simultaneous absorption as well as the implementation of knowledge to improve overall learning effectiveness. While organizations are turning towards e-learning to save time and money, it has also been observed that being equipped with such facilities helps them to attract top talent as well. Employees today are not only concerned with salary figures and job security, they also demand growth and opportunities to develop further skills. Thus, an organization which promotes and even provides for such courses is rated highly by career-driven personnel. E-learning courses can also act as support systems to learners. Post completion of classroom training in an institutional set-up, online courses can act as job aids that help them in performing their tasks with more precision. For example, process training and product training courses can be used by employees to improve their performance on the job and enhance their knowledge of the product. Here’s a concise look at 6 specific ways in which e-learning adds value to employee training, upskilling and also how it facilitates management. The costs associated with conventional training methods such as travel, logistics, venue selection etc. are not present in e-learning. An organization thus ends up saving a significant amount while not compromising on the quality of training. This reflects positively on the ROI factor, and hence is one of the essential benefits of e-learning programs. Uploading the learning module on cloud servers ensures that it can be shared digitally with every member of the organization. Regular updates, comments, and feedback can be gathered, stored and disseminated on the spot as well. Employees can carry out the learning processes simultaneously with the job, thereby not hampering the workflow. 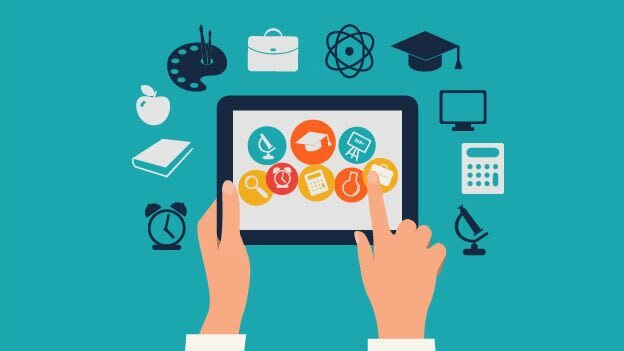 Cloud based learning platforms are also useful for employees who are on a leave yet want to remain abreast of the latest developments in the organization. With e-learning, it is very easy to customize the modules according to the need of an individual. The learning process can be paced accordingly as well, and every member can compare her/his progress with the ideal time taken to understand a concept. Post classroom training, learners can still access online courses as per their convenience, thus not conflicting with other time-sensitive tasks that they are required to perform while on the job. The fact that every course, exercise or even a quiz is digitally connected to the digital system allows the management to analyze the relative performance of every individual as well as the course itself. Furthermore, a few e-learning providers have created their modules in a manner that allows personnel to recall the main pressure points regarding a particular product or process easily. At just a click of a button, crisp questions and engaging quizzes comprehensively summarize the module. Such summarized learning builds the confidence of an employee regarding the task at hand and acts as a strong support system. Another bonus for the management? No time-taking, long drawn manual evaluations as pre-entered answers make for an easy digital grading process. Discussion forums on e-learning platforms are great spots for keen learners to compare their knowledge base, share opinions and views, discuss problems and have an overall healthy sense of competition. The presence of online leaderboards and top performers bring in the jostle of a competitive, academic atmosphere. The desire to grab the top spot among the colleagues and peers brings out the best in any employee. The Sharable Content Object Reference Model or SCORM, an e-learning format on which most of the e-learning available in the market today is prepared, ensures that the learner experiences content in a standardized way. It allows content creators to build highly engaging experiences, all-the-while capturing rich data about every interaction. Knowledge workers never want to be stagnant, and e-learning provides the right opportunities for employees to keep improving their proficiency quotient through constant engagement in a personalized manner. It also helps to act as an evaluation mechanism for the eventual process of promotion or appraisals and facilitates identification of potential executives, managers, and directors in the organization. Corporate e-learning has indeed emerged as a powerful tool for organizations to identify and nurture the prospective leaders who will steer the business towards greater prosperity in the future. Mr. Arjun Gupta is the CEO at CoursePlay, an e-learning solution for organizations.